Award for Lifetime Service to Haiku. featured in the public television show "Cactus Poetry Series"
at the California State Library in Sacramento, 2005 - 2006. Album (1999); When in Doubt Add Red (Seattle, WA: 1999. Haiku (Bellevue, WA: Vandina Press, 2004). Credits: "drone" - New Cicada 6:1 (1989); Haiku Moment (ed. Ross, Charles Tuttle: 1993); "hospital vigil" - Porad, Patchwork Quilt (Vandina Press 1994); Frogpond 17:2 (1994); The Heron's Nest 8:4 (2006); "long night" - Modern Haiku 31:1 (2000); Perfect Worry-Stone (Vandina Press 2000); a glimpse of red: The Red Moon Anthology of English-Language Haiku (ed. Kacian, Red Moon Press 2000); Mainichi Daily News Haiku in English (October 6, 2001); "gray winter day" - Woodnotes 12 (1992); "hospital café" - Porad, Hundreds of Wishes; Woodnotes 7 (1990); "inserting a piece" - Frogpond 27:3 (2004); Frogpond 28:1 (2005); tug of the current: The Red Moon Anthology of English-Language Haiku (ed. Kacian, Red Moon Press 2004); "bursting free" - Modern Haiku 26:2 (1995); presentation, Haiku North America (1995); Frogpond 18:3 (1995); Porad, All Eyes (1995); Porad, Ladles and Jellyspoons; Sunday at Four (1997); The Red Moon Anthology 1997 (Red Moon Press, 1998); "clear skies" - Tundra 1 (1999); "restless" - Paper Wasp (winter 1998); Electronic Poetry Network (November 20, 2001); "vacation beachfront" - Frogpond 23:1 (2000). 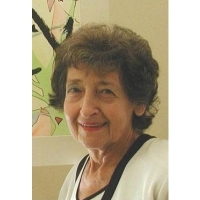 Sources Biography: Laurie Porad, various online tributes, imaginary (ed. Kacian, Red Moon Press postscripts series volume 5, 2008). Appreciation is also due Charles Trumbull for assistance in gathering representative haiku and publication credits.